What the world needs now is…holiness for families. It needs families with a pronounced religious character, who take seriously the responsibility for the education of the children from within the family context. I ran across the quote below while researching one of my upcoming presentations and want to share it with you. Spoken by Servant of God, Fr. Joseph Kentenich, in 1965, it holds true not only then, but now and for the future. As we watch the ways of the world around us, we can see how prophetic Fr. Kentenich’s words are. The education of the children is more and more being taken out of the hands of the family and placed into the hands of those who seek to destroy their mentality and morality – secular media, the entertainment industry, schools (not all, but most), and even our own government. When a family strives for holiness, it shuts out the detrimental influences that lurk around every corner. Fr. Kentenich referred to it as a “religious coloring,” and I like that comparison. Striving for holiness colors us with God’s grace, and educating ourselves and our families toward holiness assures that the colors continue to flow from the Artist’s pallet. Education for holiness includes every aspect of education – academics, spirituality, personality, and more – and the more serious we take that education, the more protected we’ll be from the influences trying to tear our families apart or away from us entirely. The process starts with parents’ realizing that they, and they alone, are the primary educators of their children. Schools can help, but the parents are in charge. Parishes help, but the parents are at the helm. We too easily let go of the task of educating our children and allow it to slip into the hands of others. That can be for many reasons: exhaustion, uncertainty, or doubt in our ability to educate our children, to name a few. While we can let others assist us, we must keep it in perspective – they are only assistants to us, not the authority over us in terms of our responsibility as parents. And they are certainly not the authority over our children. We are! The education a parent can offer his or her child is irreplaceable by any person, theory, or institution, no matter how informed and well-meaning. The trend to scoop our kids out from under us is already in motion, but we can and must reverse the trend now by stubbornly taking our rightful place as the primary educators of our children. 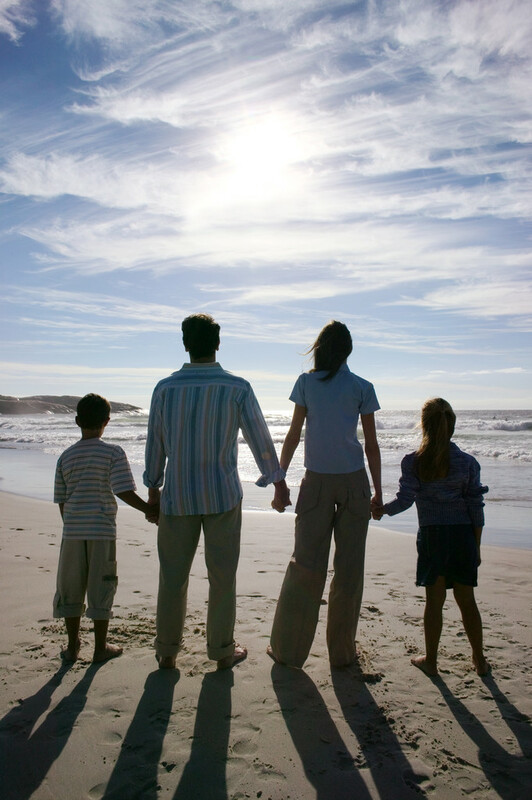 “The basic cell of human society is the family. So also the most basic cell in the Church must ultimately be families with a religious coloring, who are also trained in religious life. In the course of the years, however, the development in America and elsewhere has taken a course that has resulted in the education of the children being almost completely taken out of the hands of the family.” ~ Servant of God, Fr. Joseph Kentenich – spoken in 1965! You’ll find more nuggets of wisdom for families in my book, Strengthening Your Family: A Catholic Approach to Holiness at Home, published by Our Sunday Visitor. Click on the book title, above, to find out more.